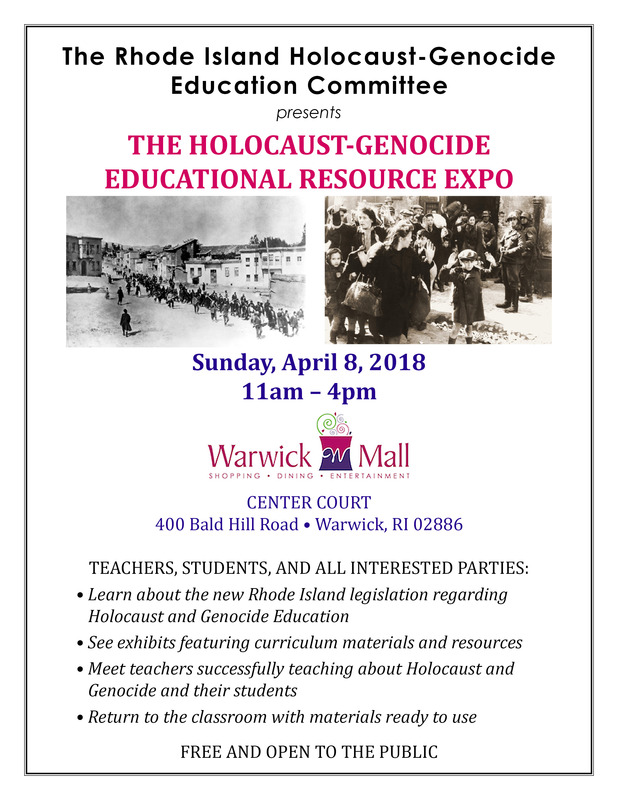 The Rhode Island Holocaust-Genocide Education Committee is sponsoring a Resource Expo on Sunday, April 8th. The purpose of the Expo is to provide information and curriculum resources currently available to enhance teacher instruction on the subject. 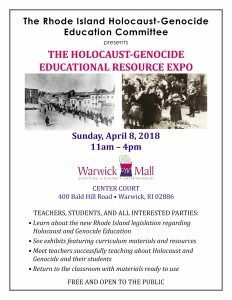 Several Exhibitors, including GenEd, will be present at the Warwick Mall Center Court from 11 am to 4 pm. The Expo is free and open to the public! GenEd is once again presenting a workshop at the Northeast Regional Conference on the Social Studies (NERC), hosted by the Connecticut Council for the Social Studies. This session explores the way in which genocide denial plays out in the United States using the Armenian Genocide as a case study. Denial, as understood by the United Nation, is considered to be the last of the 10 stages of genocide. A professional development workshop will be held at the College of Saint Elizabeth on Monday, April 30, 2018 from 9 am to 3 pm. Fundamentals of Genocide and the Armenian Case will be a full day workshop at the Morristown, NJ college’s Annunciation Center. This workshop will explore modern-era genocide using the Armenian Genocide as a case study. GenEd will introduce print, video, and web-based approaches to teaching about the persecution and extermination by the Ottoman Empire during WWI. An Investigation into the history, structure, and stages of genocide will be incorporated into the day’s sessions, culminating in discussion of genocide denial, its forms, and long-term impacts.